Amorepacific is modern and sophisticated. 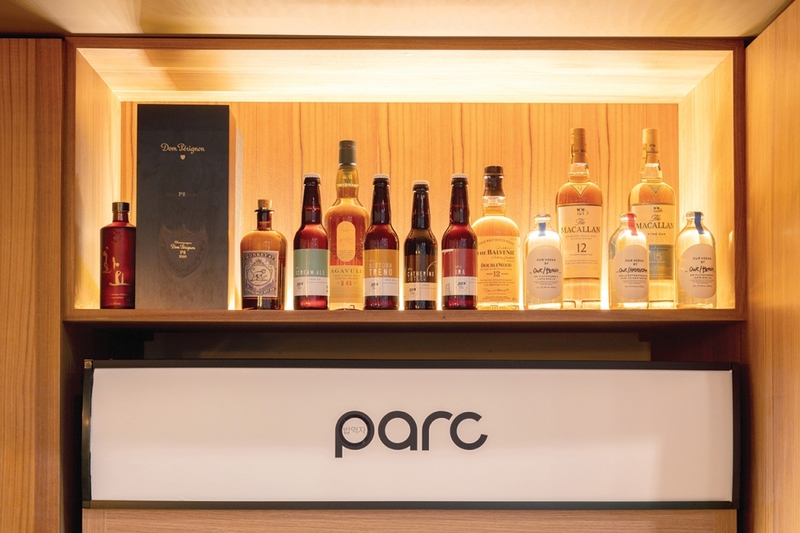 It feels like comfort food in Monocle-stylin’ digs (by the way, parc was featured in the magazine’s Seoul guide). 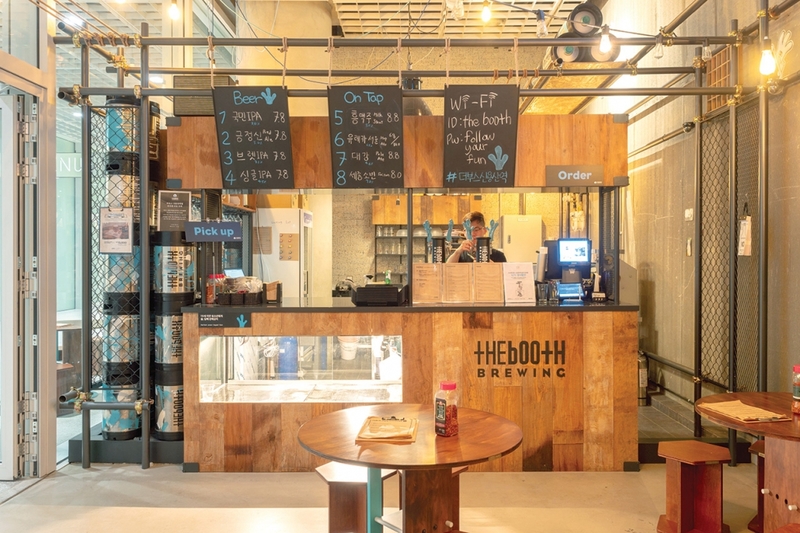 Another Itaewon hotspot, The Booth (02-1544-4723) is open for business at Amorepacific. 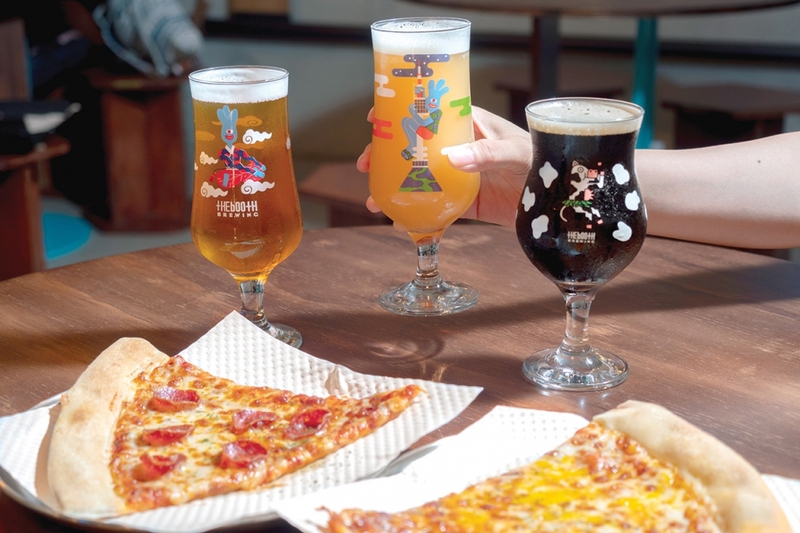 The franchise that brought us pimec, or a pizza and beer combo, has concocted some delectable brews for the summer, including its iconic Kukmin IPA with its full body and rounded mouthfeel balancing out its fragrant and exotic aroma. When the summer humidity becomes too much to bear, head over for a pint of EurekaSeoul Citra Hop Ale. The long name alludes to the eureka-esque citrus flavors mixed together with the freshest hops around. And yes, pair the pints with pizza slices for a perfect pimec ending. The basement “select dining” hall represents some of the most popular eats around town. 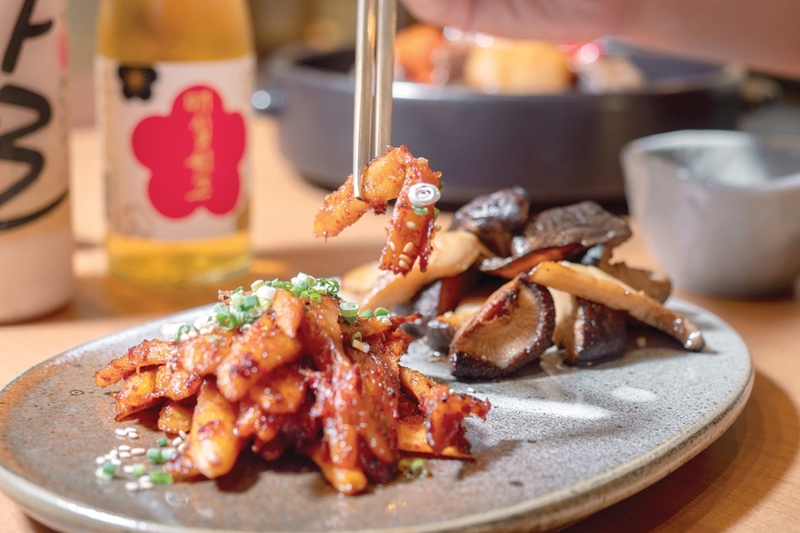 Deokja Tteokbokki began as a hole-in-the-wall snack shop near Sinnonhyeon Station but quickly became famous for serving high-quality bunsik fare. Feeling a little Southeast Asian food? Take your pick of some delish Thai at KONThai (02-795-6001) or some San Francisco-style pho at Pho for You (02-2266-9886). If burgers and fries are more your thing, try BurgerGuru72 (02-6327-7272), famous in Seorae Maeul for its signature burger topped with blue cheese and balsamic vinegar. You can order a burger with potato fries, sweet potato fries, onion rings or even cassava chips. If you can splurge on a meal, there’s Kobachi Izakaya where an omakase meal will set you back KRW 80,000. There’s more than one dessert shop to satisfy your sweet tooth, including Amorepacific’s own Osulloc (070-5172-1170), Little & Much’s second bakery brand A Lot (02-6367-1023), Café Alto by Meal (02-6462-5050), Dorrell (02-6365-3675) and Godiva. 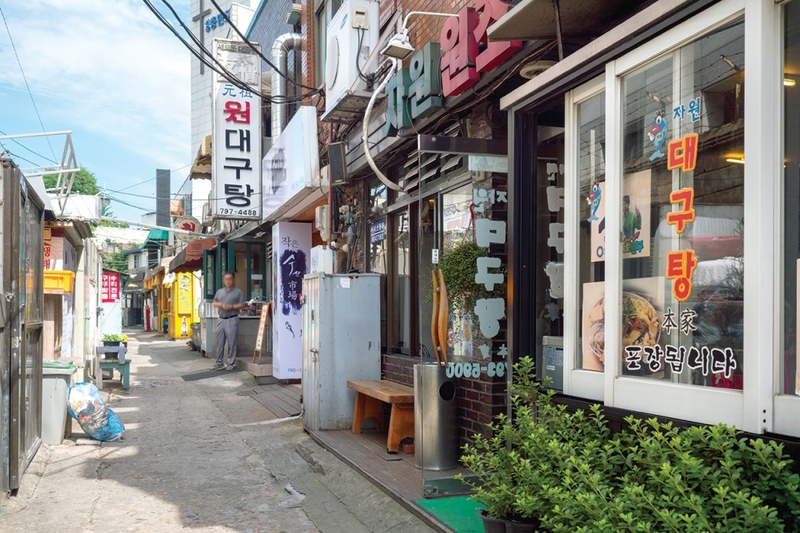 While brand new high-rises tower over the Yongsan district, Samgakji has always been home to gaseongbi, or bargain restaurants and bars where office workers flock to. Samgakji is particularly famous for its haejangguk or hangover soup, shops. 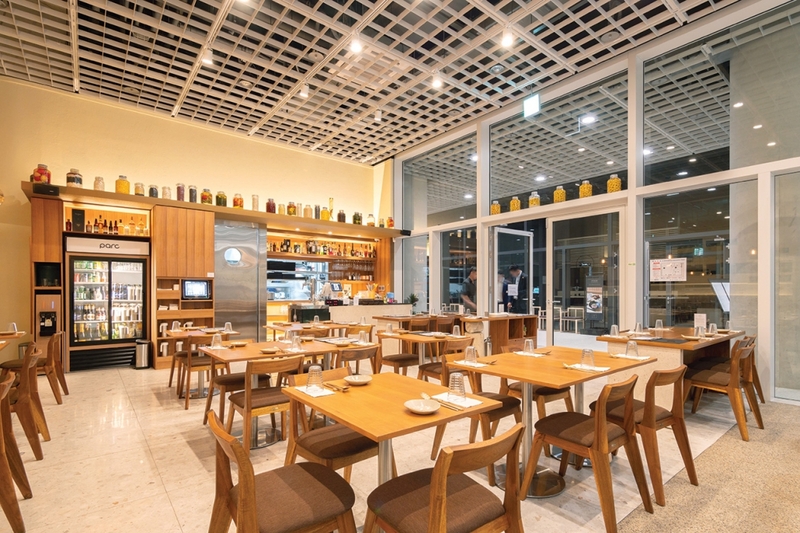 One local institution is Won Daegutang (02-797-4488) serving arguably the city’s most famous codfish hotpot. 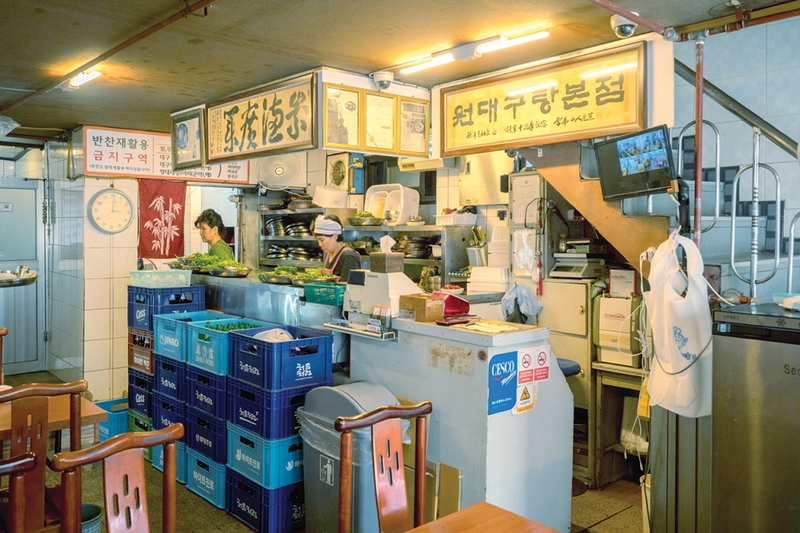 Opened in 1979, the restaurant became so popular with local workers and the soldiers from the nearby army base that soon other codfish restaurants opened nearby and now the area is known as Daegutang Alley. 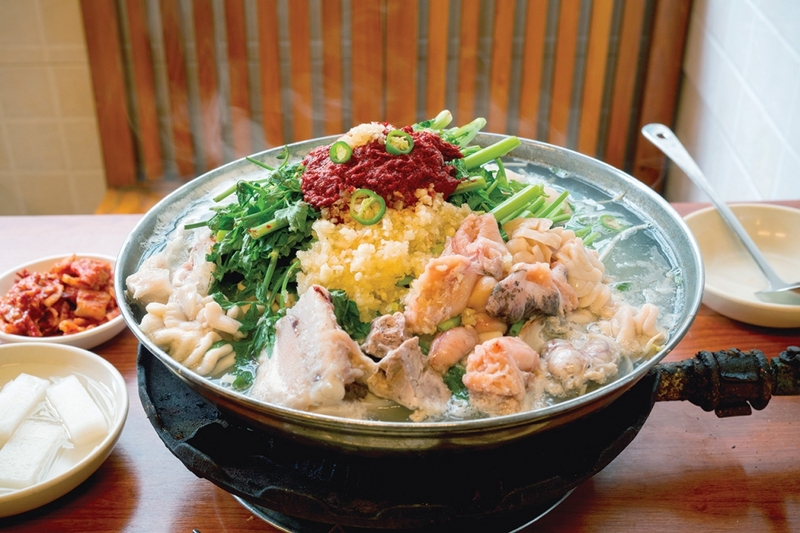 The codfish hotpot is filled with large chunks of codfish and intestines (tip: order ban ban seokeo or “half and half mix” to get some fish intestines and roe with the codfish) in a spicy broth balanced with water parsley and bean sprouts. During these dog days of summer, daegutang is the perfect yiyeol chiyeol or “fight fire with fire” cure for the summertime blues. Don’t forget to ask for the fried rice made with a special radish kimchi, laver flakes and wild perilla oil. All this for KRW 10,000 per person. You’d be hard-pressed to find a better deal elsewhere in town. Another popular fish hot pot restaurant is Hangangjip (02-796-7452), famous for its spicy pollack stew. But the real bang for your won joint in Samgakji is Yetjip Guksu (02-794-8364). A mere KRW 3,000 will buy you a bowl of delicious noodles in mild but flavorful broth made with quality ingredients, including anchovies, kelp and green onions. A roll of gimbap will only set you back KRW 1,500. The food is basic but high quality, and the service is warm and friendly to boot. At the end of Daegutang Alley is Bongsanjip (02-793-5022), a dilapidated barbecue joint that has created the formula for beef brisket barbecue. The meat is sliced thin and grilled over coal briquettes. What makes the barbecue addictive is the dipping sauce, a slightly sweet and spicy soy sauce seasoning filled with sliced peppers, green onions and cabbage. Fans of Bongsangjip never forget to finish the meal with the house doenjang jjige. Filled with slices of brisket, the stew is delectable to the very last spoonful.